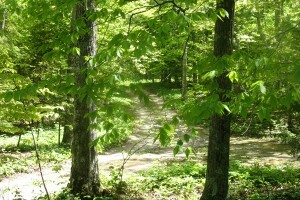 This is the long driveway, leading from the main road, MacDonald Road on Washington Island. It is less than a minute’s drive to the cottage but, is all you need to put you “off the beaten path”. Privacy is one of the key features to this fantastic Wisconsin cottage rental!